Every child is curious to know about the world in which he or she lives. We all want to know what the universe contains and how it came into being. At a basic level, physics is the scientific study of energy and matter. Initially, students are expected to understand the concepts of friction, pressure, force, mass, acceleration, gravity, etc. and later, they move on to learning about the laws that govern the relationships between these such as Newton’s three laws of motion. Having a strong grasp over such concepts is no easy task. Students have a hard time understanding principles like the law of conservation of energy or in trying to comprehend the difference between conduction and convention. MyAssignmentExpert.com strengthens the base of these students by providing them material to study that is not only accurate but also simple and easy to follow. Physics contains a lot of content for students to learn. Not only do the students have to understand the concepts and the relationships that exist between several different concepts, they also need to memorize definitions, learn how to depict these concepts diagrammatically and as a mathematical formula, but they also need to have a knack for solving sums. Students are always expected to tread on a logical, rational and analytical part because physics is not limited to plain and simple rote learning – it requires a lot of practical application.Some students may have a strong hold on the understanding of individual concepts but they may fail to make connections between two related ideas. At MyAssignmentExpert.com, we present information to the students in a simple and short manner instead of beating around the bush. Mathematics may not be a strong area for many students but here, at MyAssignmentExpert.com, we help students overcome this weak zone as well. While drawing diagrams, it is very important that students pay close attention to details. When drawing the rays of light for convex and concave lenses, for instance, it is crucial that students know where the rays of light will be reflected or refracted and in which direction are the arrows. It is not about being artistic – diagrams in physics are all about accurateness and precision. If the student has drawn the diagram correctly, it is an indication that the concept has been understood. At MyAssignmentExpert.com, we help students master the art of drawing accurate diagrams.Physics involves conducting experiments as well. At MyAssignmentExpert.com, students can find instructions on how to accurately note readings from different instruments such as vernier callipers. They are also educated on the steps and precautions one needs to take while doing a specific experiment. 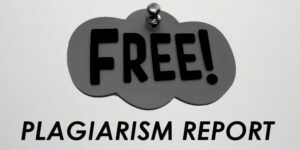 At MyAssignmentExpert.com, we ensure that every student’s requirement is matched according to his level and there is no plagiarism. So whether you are in school and still trying to grapple with the information bombarded to you in your physics class or whether you are a graduate trying to postulate the accuracy behind the string theory in quantum physics, do avail our services for an in-depth, upgraded understanding. Submit your Physics assignment requirements now and be pleasantly surprised with our quote. 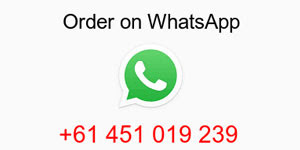 Make Payment to confirm the Physics assignment and relax.